NRC was mobilised to an oil spill from an abandoned oil pipeline in the west of the country. The oil was leaking the irrigation channel and there was a real danger that in case of rain the contamination would enter a nearby river. NRC responders were mobilised as well as response equipment such as 4×4 vehicles, sorbents, PPE, pumps, skimmers, temporary storage tanks and absorbents. Following containment to prevent further migration of floating oil, skimming system was used to recover the liquid oil. Collected oil was transferred to storage tanks before transportation to a disposal site. 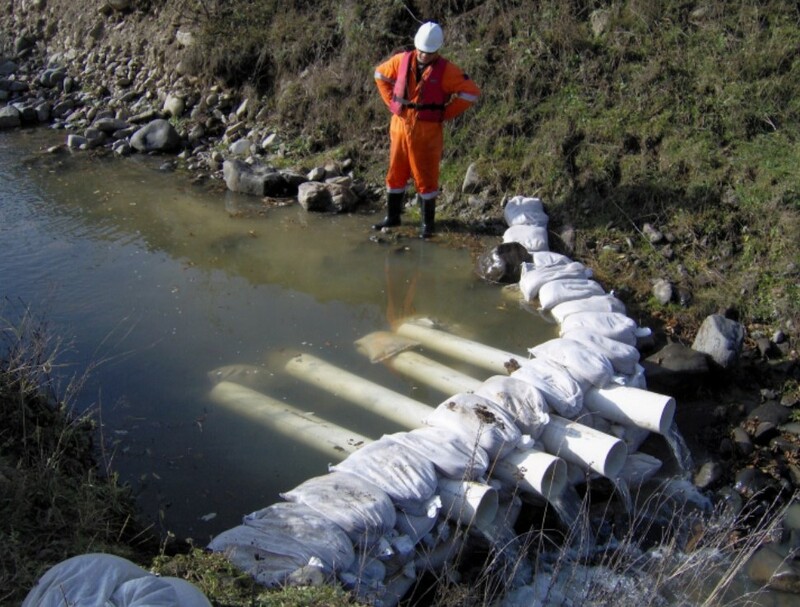 To prevent potential reoccurrence of the spill the hole in the pipeline was sealed temporarily prior to engineering decisions of the client.